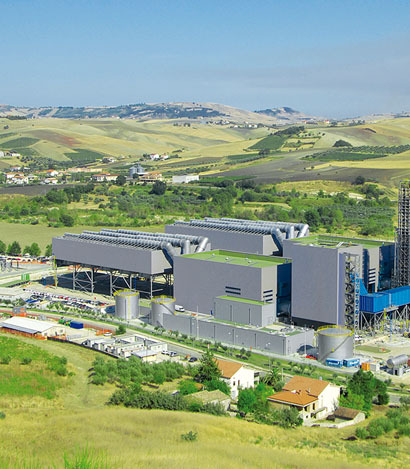 The thermoelectric production park of the A2A Group consists mainly of plants based on the technology of high performance gas-fired cycles: the powers plants at Cassano d'Adda (MI), Gissi (CH), Ponti sul Mincio (MN - co-owned by other companies). 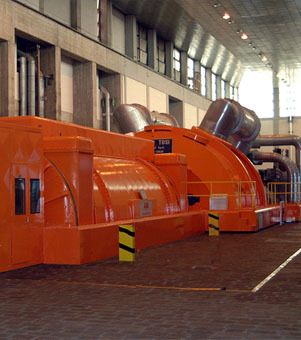 The power plant at Monfalcone (GO) is however fuelled by coal, fuel oil and biomass. For the whole of its production park, A2A is committed to making its power plants more efficient in terms of productivity and reduction of emissions by means of research and the use of the best technology available today both nationally and internationally. Some stations are located within or adjacent to protected areas such as the Mincio Regional Park (MN) and the Adda North Regional Park (MI).